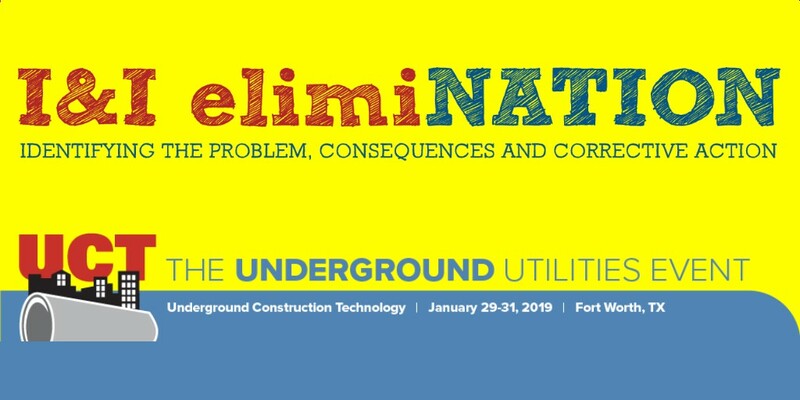 Tim Vivian, President of ISG partner company Green Mountain Pipeline Services, is a featured speaker at the I&I elimiNATION Conference, part of Underground Construction Technology’s Annual International Conference & Exhibition. I&I elimiNATION will explore root causes of infiltration and inflow into sewer systems, revealing both the short- and long-term destructive impacts upon sewer pipelines, and examine possible solutions. This first of its kind, one-day event for learning and understanding what’s new, what’s possible and what’s practical for mitigating I&I in the collection system is January 28, 2019 in Ft. Worth Texas. Sponsored and hosted by Underground Construction Magazine and NASSCO.